Natural Resources Canada, a federal agency, recently announced C$29.8 million of funding for Halagonia Tidal Energy, a subsidiary of DP Energy, to develop a 9-megawatt tidal array demonstration project — among the largest ever built — off the coast of Nova Scotia. Why it matters: This funding announcement marks a win for tidal energy, indicating strong confidence in the technology and its potential to meet future energy needs. Internationally, marine energy has been slow to reach widespread commercialization in comparison to other renewable technologies like wind and solar, but demonstration projects such as these reduce the technology's risk and improve investor confidence. The details: The project will include five Andritz Hydro 1.5-megawatt turbines and one SR2-2000 floating tidal turbine manufactured by Scotrenewables. Both turbine types have already demonstrated themselves in the water. Three of the Andritz Hydro turbines were deployed at the Meygen Tidal Array in Scotland, one of the first commercial tidal arrays in the world, and has produced over 8.2 gigawatt-hours. Scotrenewables has thoroughly tested a pre-commercial unit that has produced more than 3 gigawatt-hours for the electrical grid in Orkney, Scotland. This next iteration of the Scotrenewables device will be the largest tidal turbine ever constructed with a rating of two megawatts. 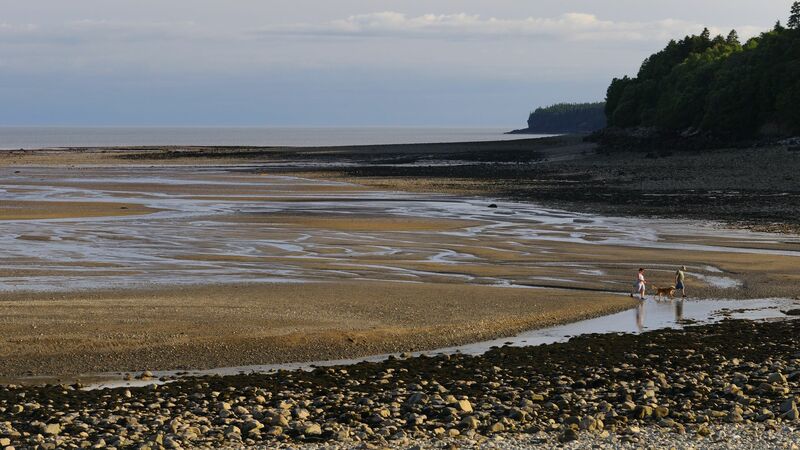 What's next: The project will be developed on the Bay of Fundy at the Fundy Ocean Research Center for Energy, a pre-permitted and grid-connected test site that also comes with a 15-year feed-in tariff. The Bay of Fundy is renowned for its extreme tides, in some places exceeding 10 knots, making it an excellent (possibly even too-energetic) site for tidal energy generation.